Palladian is an architectural style based on the work of Andreas Palladio, an Italian architect of the 16th century who sought to recreate the style and proportions of the buildings of ancient Rome. His work was widely imitated throughout Europe, particularly in 18th century England. In England, the style was characterized by grace, elegant decorative elements, and use of classical orders. Inigo Jones, Surveyor-General under King James I at the beginning of the 17th century, popularized the Palladian style in England. Jones incorporated the Palladian style in to several buildings, including Queen’s House, Greenwich, and the Banqueting House at Whitehall. Later, Richard Boyle, Lord Burlington (1694-1753), an amateur architect, was responsible for the popular success of Palladianism in 18th century England. The 18th century saw a huge growth in the number of ostentatious country houses such as Stowe and Stourhead. One of the names most associated with Palladianism is that of Robert Adam, the most sought-after architect of his day. Although heavily influenced by Roman classicism, Adam advocated a Roman style as a starting point for his own style, which can best be called “neoclassical.” Syon House, Kedeleston Hall, Harewood House, Osterly, and Kenwood House are examples of Admas’ work. 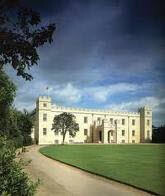 Lancelot Brown (1715-1783) often landscaped the estate gardens. 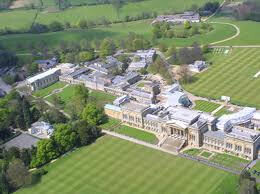 (He was known as ‘Capability’ Brown from his habit of looking at land and saying it had ‘great capabilities’). The estates were also filled with comfortably upholstered furniture. by Thomas Chippendale (1718-1779), George Hepplewhite (?-1786) and Thomas Sheraton (1751-1806).